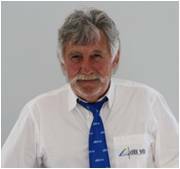 An engineer from the INSA Lyon, is the dB Vib Group’s founder and is newly retired, still very active : leisure activities such as skiing, sailing … He is still consultant for dB Vib Group and he runs many training sessions for dB Vib Consulting. His knowledge of the African market and his academic relations are a valuable support. Pierre-François CAMPAGNA, Henri’s son, an engineer from ISAT Nevers, joined dB Vib Group in 2002. Since 2010 he is the Managing Director of dB Vib Consulting, dB Vib Instrumentation and dB Vib Tunisia. In 2016, he became also the Managing Director of dB Vib Ingénierie. Today leader of the dB Vib Group companies, he is also responsible for the French-speaking Africa Export Development. He is also very active and still on all fronts to insure the dB Vib group’s expansion while maintaining a very human approach in order to stay as close as possible to his team. An engineer from ISAT Nevers (same graduating class with Pierre-François Campagna), is the vibration expert of the group. 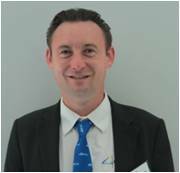 He joined dB Vib Consulting in July 2002 as Business Engineer. He is now the Operational Technical Manager. He intervenes all around the world as soon as his expertise is required. From his native land the Haut-Bugey to Ivory Coast where he spends a lot of time, he is able to adapt to all the situations with good-naturedness. An engineer from the INSA Lyon (civil engineering), started working with Henri while he was final study intern. 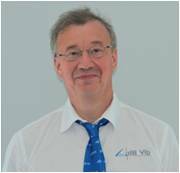 He is today the acoustics expert of dB Vib Group and project manager.He coordinates all the acoustics surveys with pragmatism and manages all noise issues. Our teams consider him as the acoustics druid and his even temper facilitates the transmission of his knowledge and experiment. As someone enjoying good things of life, he appreciates good wines but in moderation because to keep in shape he practices sport. 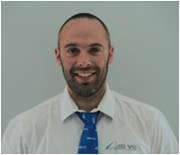 An engineer from ISAT Nevers (same graduating class with Pierre-François Campagna) joined dB Vib Group in 2002 as Business Engineer. In 2005, he left dB Vib for the EMERSON Group where he was sales manager until 2013. He acquired skills of team management thanks to his Executive MBA training course at EM School of Lyon. 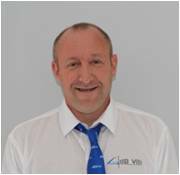 He returned to dB Vib Group in 2013 as Conditional Maintenance Manager for the Infrared Thermograhy Department. For him it is an opportunity to contribute his skills acquired throughout his professional career in a human-sized company, in a professional and friendly environment. 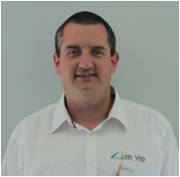 Industrial Engineer from CESI is the Sales and Technical Manager of dB Vib Ingénierie. He joined dB Vib Ingénierie Company in 1999 as a technician/designer for the engineering department. 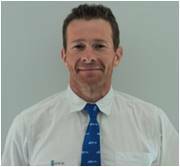 He became Manager of the Engineering and Design department in 2003, then Business Engineer in 2007 and finally Sales and Technical Manager in 2012. His sporting spirit (Triathlon, Ironman…) is reflected daily in how he manages his team and in his involvement in the projects management of our clients. Graduated in audit, management and financial control, is the administrative and financial director of dB Vib Group, since 2002. He supports the Group’s management whatever its development projects and conducts the management control audit with his characteristic rigour. His qualities as local sports club leader also gives him the qualities necessary to carry out the human resources management functions assigned to him. 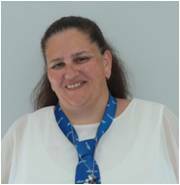 Graduated in QSE Management, Pascale is the QSE manager of dB Vib group and she is also the qualified person in charge of CEFRI and radiation protection for dB Vib Consulting. She joined dB Vib group in 2007, first on a time-share basis, then on a full-time basis since 2010. Through her versatility and her contagious good mood, she has a great capacity for listening that is highly appreciated by all.